Something different from me this week for Wednesday WOW! #15. I don’t normally share quotes or things like this on my blog. When I was thinking of what to post today this came up on my Facebook feed. I thought it was very apt and maybe you can relate? Really I didn’t have to go past number 1! I always compare my work to others. Often I feel it isn’t good enough. What about you? do you compare your work to others. Anyway, #2 consoled me. Someone, somewhere will love what you do. I hope that I inspire someone with projects that I share on my blog here. So hopefully this might encourage you in some way – and remember #5. Sometimes mistakes lead to the greatest masterpieces. 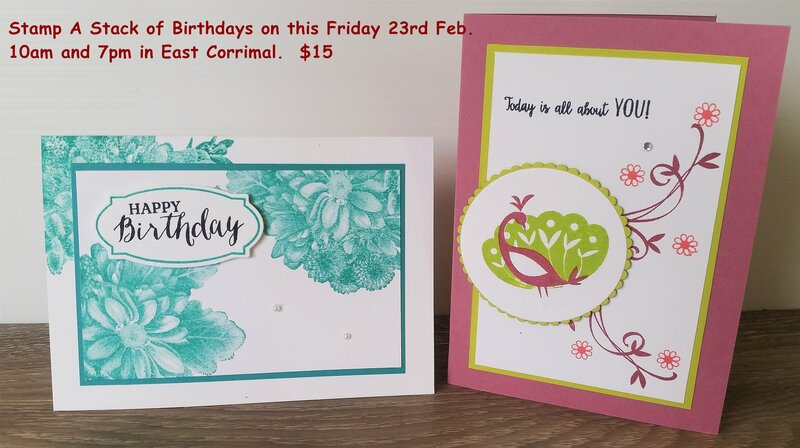 I mentioned last post of 3 gorgeous new products for the 2nd release of Sale-A-Bration. I showed the beautiful Springtime Foils Specialty Designer Series Paper. I have more to share with that paper don’t you worry. Today though let’s talk about these lovely products. Also, just a reminder of what Sale-A-Bration is all about. 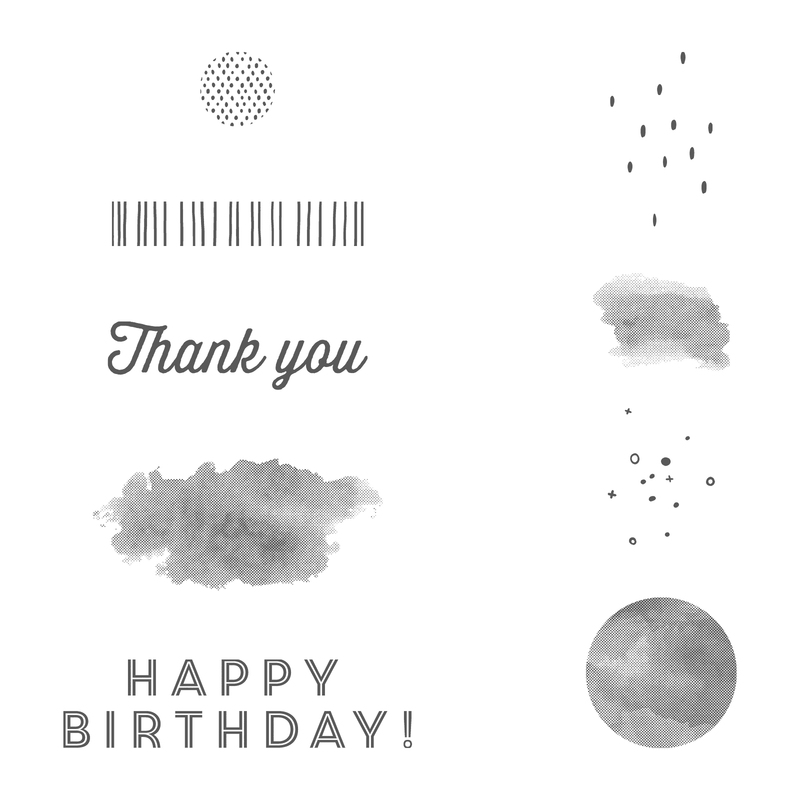 1) Eclectic Expressions – a fun stamp set with spots, dashes and other shapes along with “Happy Birthday” and “Thank you”. Available as a FREE choice with a minimum order of $90. 2) Springtime Foils Specialty Designer Series Paper. Just Gorgeous! 12 sheets of 12″x12″ paper. 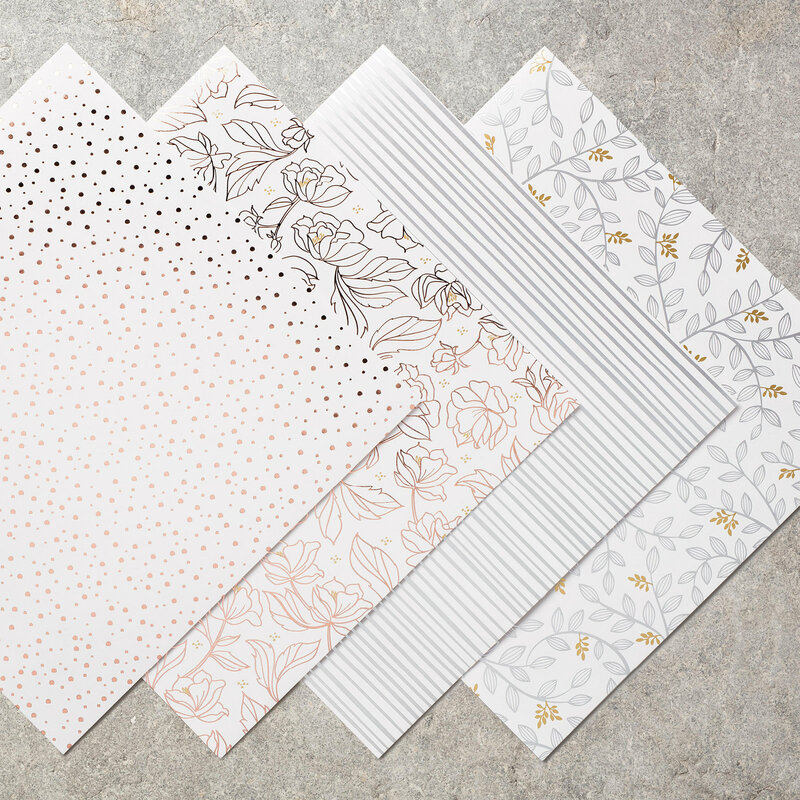 3 each of 4 designs with Silver, Gold, Rose Gold and Copper embossed patterns. Available as a FREE choice with a minimum order of $90. If you missed the post yesterday about colouring this beautiful paper then be sure to jump back a post. Stay tuned for more projects though with this paper. 3) The gorgeous Blossoming Basket Bundle. 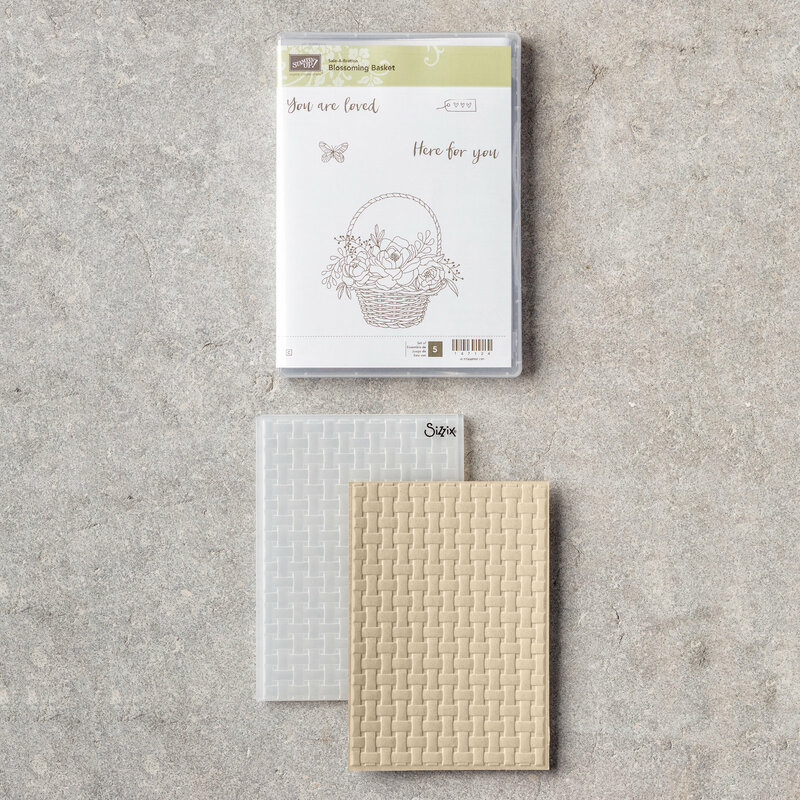 With a beautiful stamp set the Blossoming Basket and the Basket Weave Embossing Folder. This bundle is available as a FREE choice with a minimum order of $180. What do you like the look of? It really is hard to choose though isn’t it. You can see all the Sale-A-Bration choices -> HERE. Just a reminder of what Sale-A-Bration is if you are unsure. It runs until 31st March and you get the Free products. With every qualifying order (either $90 or $180) you choose a free item from the Sale-A-Bration choices. See them all -> HERE. Step 1: Pick a Date. Step 2: Invite your friends for a fun time out creating. Step 3: If you like, choose your projects or theme. It’s that easy! And if people choose to order and orders are over $400 you can an extra $40 to spend on free products. Let’s make a date. If you love the products and love Free stuff this is for you! Pay $169 for $235 of products of your choice (save $66), Plus choose an additional 2 free stamp sets up to $174. (Bonus!). Plus there is no shipping. (saving again). So $240 of free products PLUS save on shipping. Come and join me on my JEN’s INK team whether you just want the free stuff, you want the discount each time or you want to share stamping with others. Either way it’s a WIN! Thanks for visiting today. I hope your weekend has been great. Until next time. Order by emailing me directly. CHRISTMAS IN JULY CLASS IS COMING TO YOU! Christmas in July is happening and I am bringing a class right to you in your own home! You can join anywhere in the world. Start getting inspired for Christmas. I will be sharing a couple of Christmas projects and we can chat and have some games. If you can’t make the time you can still join in and catch the projects. You will just miss the chatter and the fun. WHEN IS IT?? Monday 24th July at 7.30pm – 8.30pm (AEST). ARE YOU IN?? Come and join HERE through Facebook. Don’t have Facebook? I might share some of the projects at a later date – but you will miss the fun. If you have trouble joining the event through this link please let me know. I can’t wait to share everything with you.